When was the first time you hopped on an Uber? Chances are that you did so after a friend recommended its services. It’s true that we all tend to highly value a recommendation when it comes from friends or acquaintances. A lot has changed since the first Software-as-a-Service (SaaS) venture came into being, and if we go by its growing popularity and acceptability, one can clearly say that this industry is on a roll. Though there are various sales and marketing tactics that may have sprinted its growth, referral marketing is the one that stands out. A study done at Manchester Business School on word-of-mouth marketing (aka referral marketing) establishes its history and cites unique examples going back to the times of Aristotle. And while the marketing landscape has changed drastically over time, referral marketing still resonates with marketers. Though the Manchester study was done in 1998, a more recent global study conducted by Nielsen affirms the power of referral marketing: word-of-mouth recommendations from friends and family, often referred to as earned advertising, are still the most influential, as 84% of global respondents across 58 countries to the Nielsen online survey said this source was the most trustworthy. Entrepreneurs needed a strategy that would help them overcome these obstacles, without spending too much of their revenue. That’s when Dropbox (a SaaS product) made news by using referral marketing to scale its business. Though Dropbox’s approach was simple, it was well ahead of the times. That’s because no one could ever imagine that tactics such as sign-up-driven pages, refer-a-friend, or bringing in unique referral links could help a business model to strike a cord with users. As a result, Dropbox today has millions of users and is estimated at a whopping $10 billion. Today, it’s not surprising to see that many SaaS ventures have found this extremely useful and have adopted this strategy as a part of their marketing. Referral marketing has found its way into the mainstream again. Before we dig deep into the science of referral marketing and how SaaS products benefit from it, it’s important to understand the difference between referral and affiliate marketing, which are often confused. Referral marketing is simply a request of an existing user to tap their network (by referring their product or service to a friend or acquaintance), and it may not always involve a monetary benefit. On the other hand, affiliate marketing is motivated purely by financial and business incentives. The most common way to acquire customers is through a ‘one-way’ referral marketing technique. This technique asks existing users to refer the product/service to their friends and acquaintances in exchange for some type of benefit. For example, this approach was adopted by Yesware, a SaaS product that offers a sales productivity suite comprising of email tracking, analytics, and other features. Launched in 2010, Yesware owes its revenue margin to its successful referral program. The Yesware referral model offers its users a convenient way to refer, by providing an auto-filled message. Users can invite multiple friends and then earn points for referral. They can then redeem their points by choosing either a t-shirt (6,000 points) or an Amazon gift card (12,000 points). This technique is based on the concept of viral loop, which offers businesses a cheap and easy way of gaining more customers. The logic behind this technique is pretty simple considering that most new customers would also continue the same process and gain from it. When considering this technique, it’s important to remember that not every user is interested in referring a product/service. This can be attributed to a number of factors, but to optimize for success, be sure to have a simple process for referral. This is by far the most common and widely used technique by businesses today. The two-way referral technique benefits both the referrer and the referee and is usually accompanied with an incentive. Most people tend to favor this technique over others since it resonates on both sides. An engaging experience helps both the referrer and the referee along with the business itself. 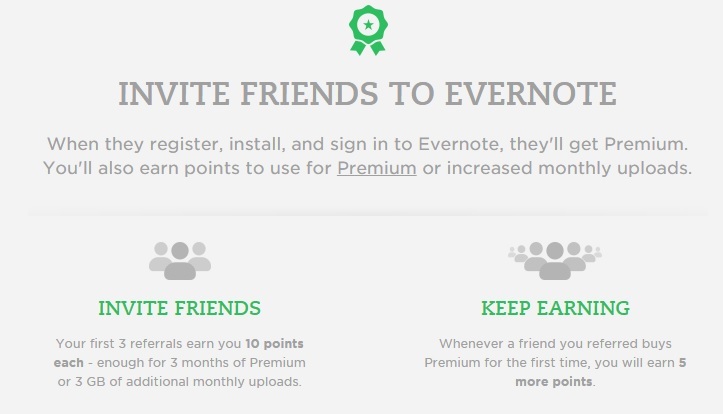 One of the finest two-way referral programs is run by Evernote. Rising popularity has not kept the company away from continuing this program. The program offers its users a two-way incentive—users can earn points with each referral, which they can eventually utilize towards premium subscriptions, monthly upload limits, and more. Friends and acquaintances (referees) are eligible for a free month of Evernote Premium service, which includes offline notebooks and other elevated features if they sign up through the referrer’s link. Considering that millions of customers engage with brands on social media platforms, a referral model woven around this technique is fundamental to any marketing plan. Though most SaaS companies depend on referral links or email as the primary source of ‘referring’, many others have been successful in gaining mileage through referrals made by existing users on social media platforms like Facebook and Twitter. One company utilizing this strategy is LastPass, a free password management tool that offers a dual referral program to its users. The program allows socially savvy customers to simply put an invitation on their Facebook or Twitter page, encouraging friends to check out the service. Upon signing up for this service, both the referrer and the referee get a free month of premium subscription that is comprised of additional security features, priority support, and other benefits. Another innovative referral method is through a third-party tie-up. This helps bring additional users to the network, even beyond online platforms. As a SaaS product, this might not be easy, however the same has been used effectively by Evernote in addition to its two-way referral technique. 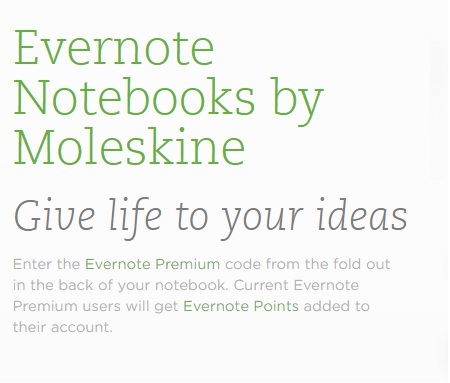 Evernote’s third-party referral program is with Moleskin. It allows users to punch in the Evernote Premium code and earn points which are directly linked to its referral program. Most referral marketing strategies owe their success to concrete referral methods. It is an acceptable human psychology to refer a product/service if it offers its user valuable benefits. In view of demanding customers and markets, a few SaaS products have taken a unique route of enticing users by offering them a monetary edge. One such SaaS product is Sellsy, a sales and CRM tool. Being an enterprise solution, Sellsy offers a 30% commission if any of the referrals sign up. What’s more—they even have a Sellsy soccer ball if a referral subscribes, making it a unique proposition in all respects. Two widely popular products, Xero and Moz, introduced referral marketing to their users. However, unlike other companies in their league, their strategy was more time bound and unique. While we saw a glimpse of how start-ups used the simple yet effective referral strategy to catapult themselves in the big league, it is important to understand its workability. It is also fair to understand the true value of word-of-mouth, and the same has been explained descriptively in this study by Harvard Business Review. Though the popular belief is that individuals referring your products are more often like brand ambassadors or loyalists, based on the results of this study, you can see that isn’t true. 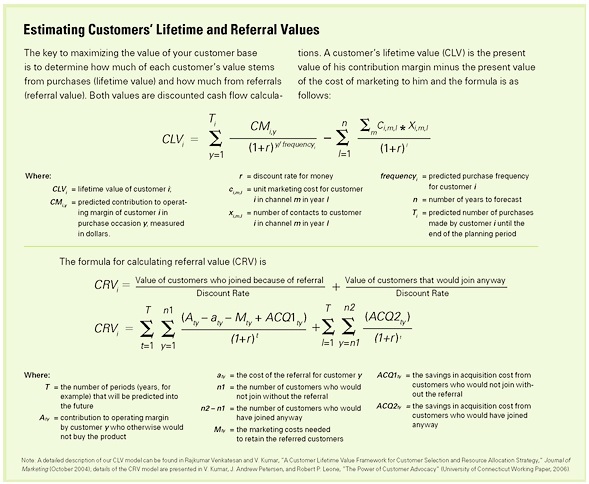 The study offers a formula for companies to estimate the value of a customer referral. Every referral marketing strategy should have a clear goal and should be closely monitored through to completion. It is also important to optimize it with the growth of your SaaS product. Apart from a compelling plan or incentive, it should have unique visibility to your users. No strategy will succeed without a firm follow-up plan in place. This means that apart from an exemplary referral plan, specific tactics like reminder emails and customer service to resolve queries should be in place. Investing an equal amount of time and energy in promoting a referral program is critical. Good referral marketing depends on easy sharing. Social media channels, unique URLs, and emails are just a few ways of sharing. It is beneficial to include more than one social channel. 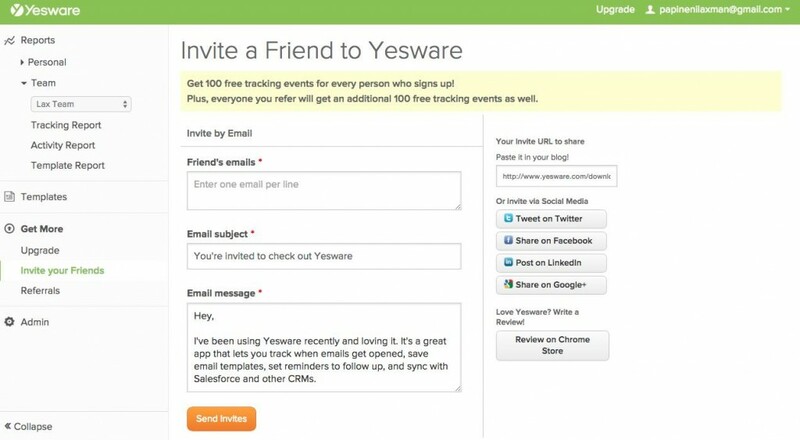 Provide avenues for your users to analyze their own referrals, just like in the case of Yesware. An empowered user would stay longer with your product and is likely to do more referring. Build a strategy or campaign to further incentivize your top loyalists. This would surely increase their LTV (Lifetime Value) and bring in more referrals. While the success of any marketing strategy is dependent upon the ability to demonstrate ROI, marketers can’t ignore the benefits of referral marketing. It is also safe to say that the standard marketing funnel has changed and customer incentivization through referral will not only bring in more customers, it will also build brand recognition for your SaaS product. Caught in a Business Legal Crisis and Don’t Know What to Do?